Here’s a question: how much do you care about the display on a phone? Take a moment and really consider it. If you were to put a dollar amount on it, how much would having a perfect display be worth to you? Apple has an answer, and it’s $250. That’s the price difference between the new iPhone XR and Apple’s top-of-the-line iPhone XS — the price difference between the XR’s 6.1-inch “Liquid Retina” LCD screen and the 5.8-inch OLED screen on the XS. 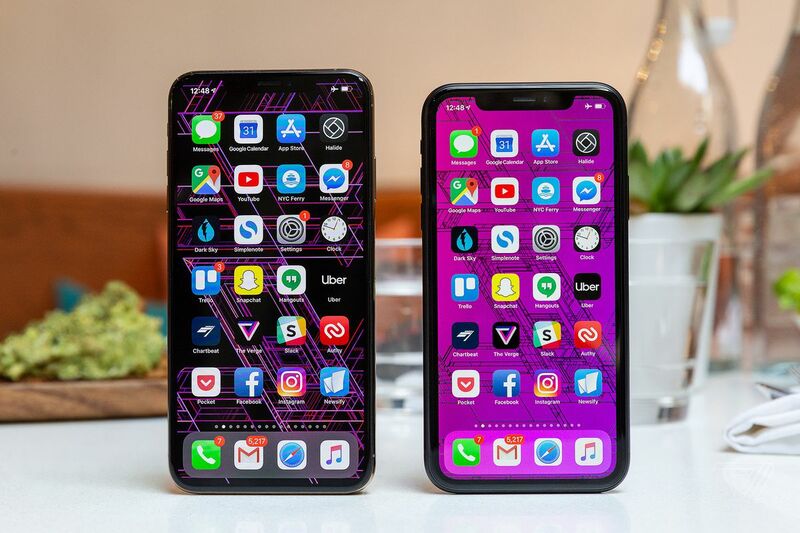 Apart from the display, the iPhones XR and XS are far more similar than not: they share the same A12 Bionic processors, the same main cameras with Smart HDR, the same iOS 12, the same gesture controls, the same wireless charging capabilities, even the same forthcoming dual-SIM support. There are some other subtle differences as well, of course: the XR has but a single rear camera, while the XS has a second telephoto lens. The XR is offered in just one somewhat large size, while the XS comes in smaller and larger variants. And the XR is made of aluminum instead of stainless steel, which allows it to come in a wide variety of colors, ranging from white and black to blue, coral, yellow, and red. So. How much do you care about the display on your phone? Look. The display on the iPhone XR is… fine. It’s fine! It has lower resolution and pixel density than the OLEDs in new flagship phones like the iPhone XS, Galaxy S9, and Pixel 3, but it’s the same 326 pixels per inch as Apple’s previous non-Plus LCD iPhones. Anyone coming to this phone from any iPhone save the iPhone X will not notice a huge discrepancy in resolution. I suspect most people will find it totally acceptable. That’s not to say it matches the quality of previous iPhone LCDs. The iPhone XR LCD definitely shifts a little pink and drops brightness quickly when you look at it off-axis, which often leads to a bit of a shimmery effect when you move the phone around. I noticed that shimmer right away, but I had to point it out to other people for them to see it; it’s one of those things you might not notice at first but you can’t un-see. Apple told me the XR display should match previous iPhone LCDs in terms of performance, but side-by-side with an iPhone 8 Plus, the off-axis shifts are definitely more pronounced. You will also definitely notice the huge bezel around the entire display, which flows into the notch. 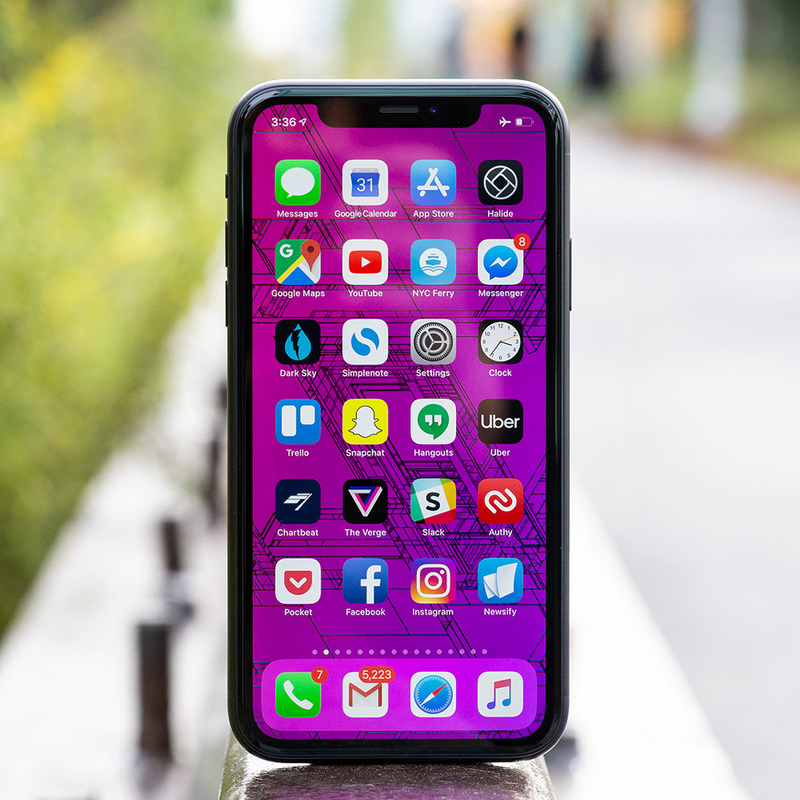 As with Apple’s other X-series phones, the notch houses the FaceID system and the front-facing camera, and generally fades from notice after just a few hours of regular use. But the bezel… well, you’re going to notice that bezel every time you see an iPhone X or XS anywhere near your phone. It’s very large, and it definitely makes the iPhone XR seem less premium than the iPhone XS. To be clear, the bezel is there for a reason: it houses the LCD backlight. 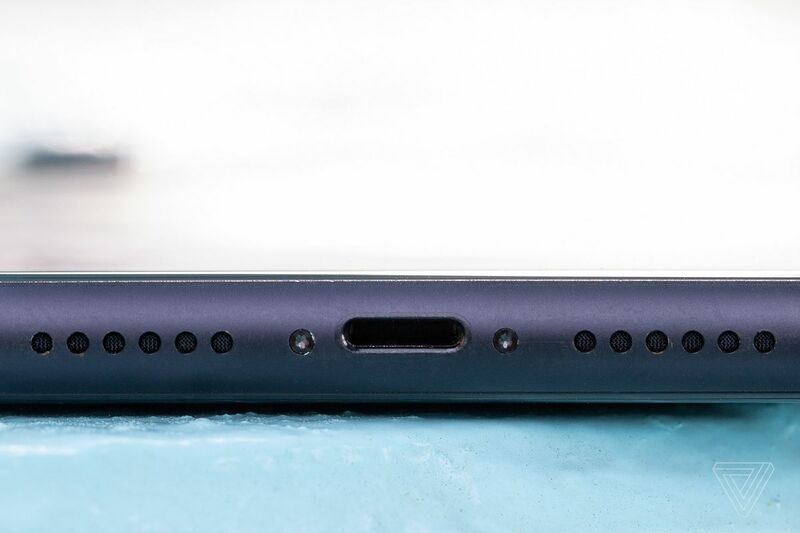 Apple did a lot of custom engineering to pack a dense array of LED backlights into that bezel, and tucked the display controller up under the display itself to eliminate the need for an unsightly chin, which virtually no other phone manufacturer has been able to avoid. The tradeoff? Well, the bezel, and a Lightning port that’s vertically off-center on the bottom. 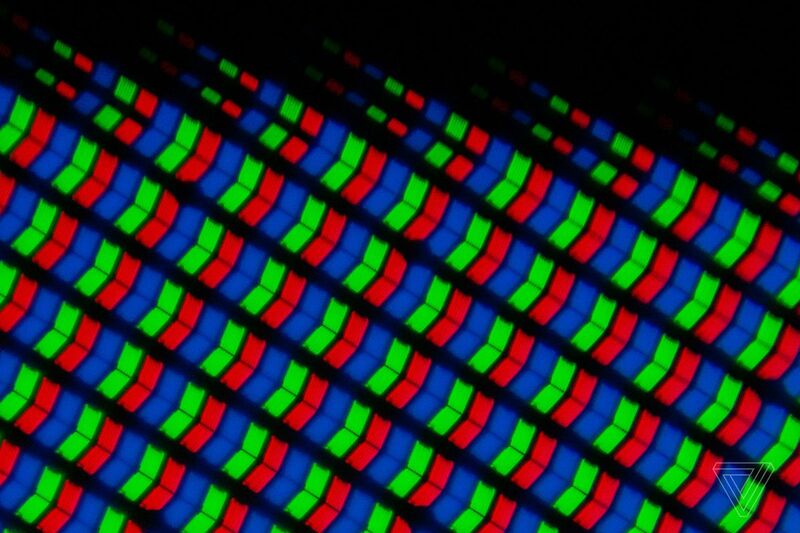 It’s somewhat easier to round the corners of an OLED panel: each pixel is its own light source, so you can turn them off individually around the curve to smooth it out. You can’t do that with an LCD panel because there’s just one single backlight for the entire display, which will shine through the black pixels along the edge. So Apple built little apertures for the pixels around the corners of the XR display to mask some of the light coming through, on top of antialiasing the curve in software. It’s a neat example of Apple’s attention to detail. All of that backlight engineering means that Apple had to remove 3D Touch, which worked by sensing pressure on the backlight on previous LCD iPhones. Instead, there’s something Apple calls Haptic Touch, which is really just a fancy name for “long press with haptic feedback.” Apple’s Taptic Engine haptic system is the best in the industry, and the effect is pretty convincing, especially on the lock screen shortcuts for the camera and flashlight. I use 3D Touch to scroll around text fields by pressing down on the XS keyboard quite often, and while that doesn’t work on the XR, it’s just as easy to long-press on the space bar to invoke the cursor control feature. Haptic Touch does not have equivalents to everything 3D Touch can do, however — I missed previewing links in Safari and Twitter quite a bit. Apple told me it’s working to bring it to more places in iOS over time, but that it’s going slow to make sure the implementation is right. 3D Touch is one of those Apple technologies that never really went beyond the initial rollout, so I think it’s a toss up as to whether the company sticks with it or moves to an extended Haptic Touch system across the board. All that said, I’ve always been a fan of how accurate and balanced Apple’s LCDs are compared to the OLEDs on most Android phones, and the XR is definitely another Apple LCD. If you’re coming from an iPhone 6, 7, or 8, it will look very familiar. But it’s simply not as good as Apple’s OLEDs. It doesn’t have the deep black levels or infinite contrast of the iPhone XS, it doesn’t support HDR or Dolby Vision video playback, and in general, you can always see the border between the bezel and the edge of the display, even with a dark background. Even with Apple’s True Tone color calibration turned on, it’s always a little warmer than my XS. And there’s that off-axis color shift and shimmer. But again: it’s basically just fine. You have to really care about displays to notice some of these things, and even then you might have to go looking. If it really bothers you, you can spend $250 more on an iPhone XS. 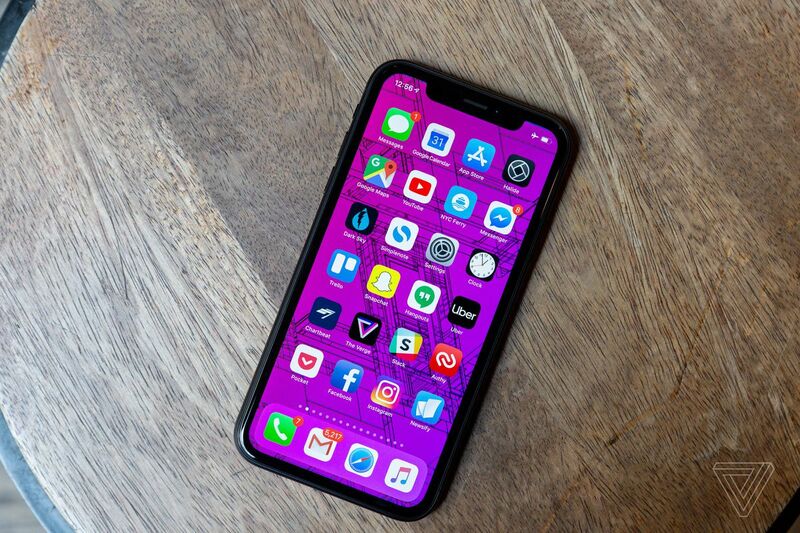 The other major consideration with the XR is size: it’s a strange new size of iPhone. 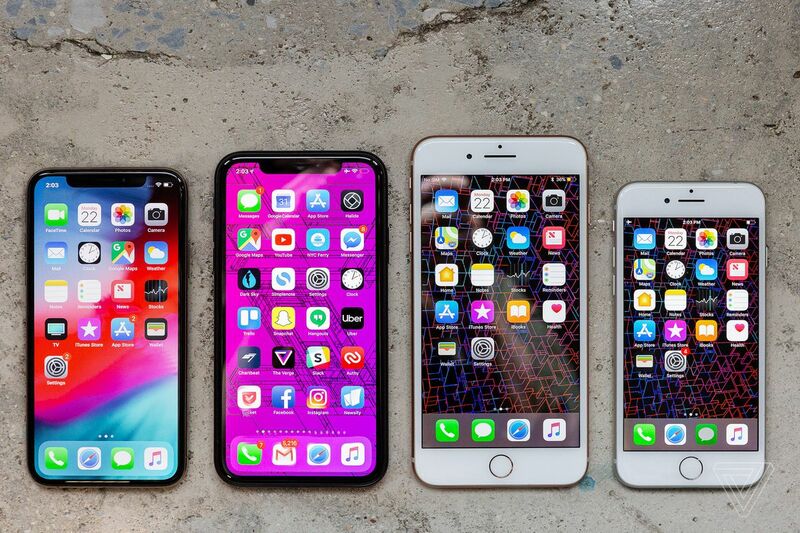 The XR sits right between the old iPhone 6-sized phones and the bigger Plus models. I have big hands, so this feels like a nice size compromise, but if you’ve had one of the smaller phones, the XR is definitely going to feel much bigger. If you’re a small phone person, you’re basically going to be stuck with a last year’s iPhone 8 or paying more for an iPhone XS, which is a bummer. If you’ve been using a Plus phone, you’ll notice that you get some of the Plus interface features like side-by-side list views in apps like Messages, which is nice. The XR also comes in a bunch of colors — our all-black review unit looks extremely sleek, but I’ve gotten a chance to play with all the other colors and they’re all very pretty. I like the blue and the coral the best, and the Project Red model is striking. The XR also has the same redesigned wireless charging coil as the XS, which offers faster charging on the same pads compared to older iPhones. It also has IP67 water resistance, which is a little worse than the IP68 rating of the iPhone XS, but fine for the occasional splash. And it has Apple’s new “wide stereo” speaker system, which uses the earpiece speaker and bottom speaker as a matched pair. It’s a little less loud than the iPhone XS Max, but it’s still quite a bit of volume for a phone. The XR screen has the same improved glass Apple uses on both sides of the iPhone XS, which the company claims is “the most durable ever,” but the glass back is the older formulation used on the iPhone X. So… it’s slightly less durable than the front, by definition. You might want a case, but be aware that Apple doesn’t have any of its own cases yet. There will be third-party XR cases in Apple stores at launch, but it’s a little strange for the company to miss out on such an easy moneymaker. If the XR is as popular as it seems like it will be, the accessory market will grow very quickly, but if you’re rushing to buy one at launch, just be aware that not everything is there yet. Apart from the lack of a second telephoto lens on the back of the XR, the cameras are the same as the main cameras on the iPhone XS. There’s a 7-megapixel f/2.2 selfie camera on the front, and a 12-megapixel f/1.8 camera on the back, all using Apple’s new Smart HDR system that rivals Google’s HDR+ on the Pixel 3. Apple insists that the XR’s cameras and software are exactly the same as the the XS, so there shouldn’t be any differences in how they perform. 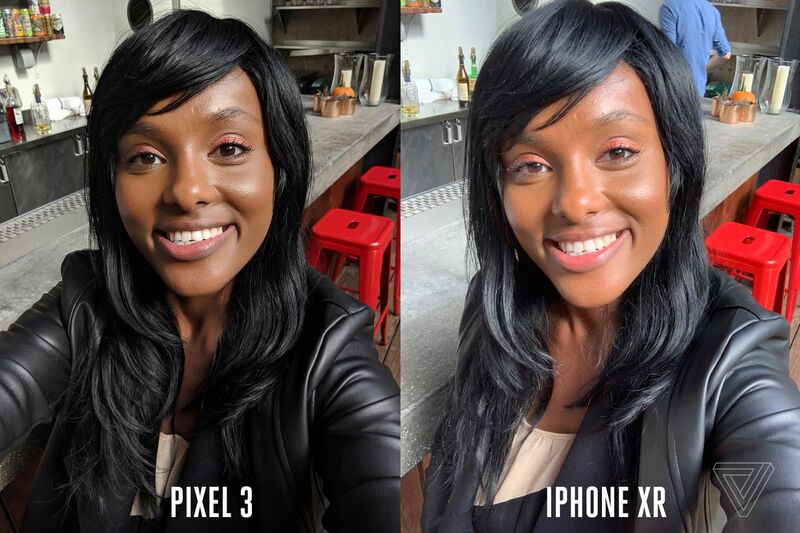 This is actually our third time looking critically at these cameras and Smart HDR, after the iPhone XS review and the Pixel 3 review, and it’s clear that Apple is chasing a very different look than Google and Samsung. Like the XS, iPhone XR photos look incredibly even and preserve highlight and shadow detail more aggressively than any camera I’ve ever used before, at the expense of contrast. It’s a conscious aesthetic decision, according to Apple — the company knows Smart HDR photos look different from traditional photos that have lots of contrast, but the bet is that people will get used to it and eventually prefer this look. And in some cases, I prefer it to the Pixel 3. In practice, Smart HDR flattens highlights and lifts shadows to make everything look evenly lit, and that process can reduce detail and make photos look a little bit artificial. 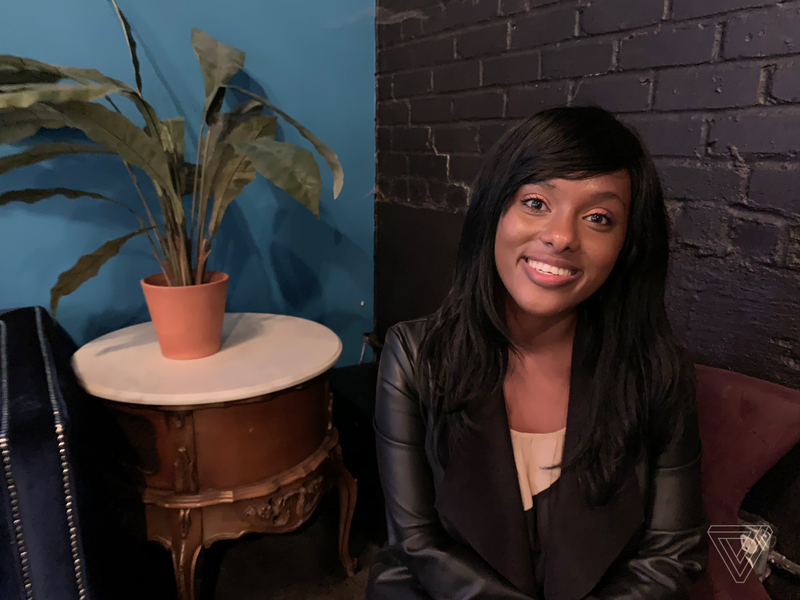 Look at this photo I casually took with the iPhone XS Max while we were shooting our review video — this was just taken under some skylights in a bar, but Smart HDR has lifted the shadows so much that it looks like we were in a photo studio with professional lights. That’s wild. Smart HDR can also by stymied by challenging lighting conditions. Shooting subjects in the shadows against bright backgrounds tends to result in strange exposures, loss of detail, and lots of noise. And shooting in low light can sometimes generate a usable photo that deviates from what a scene actually looks like. 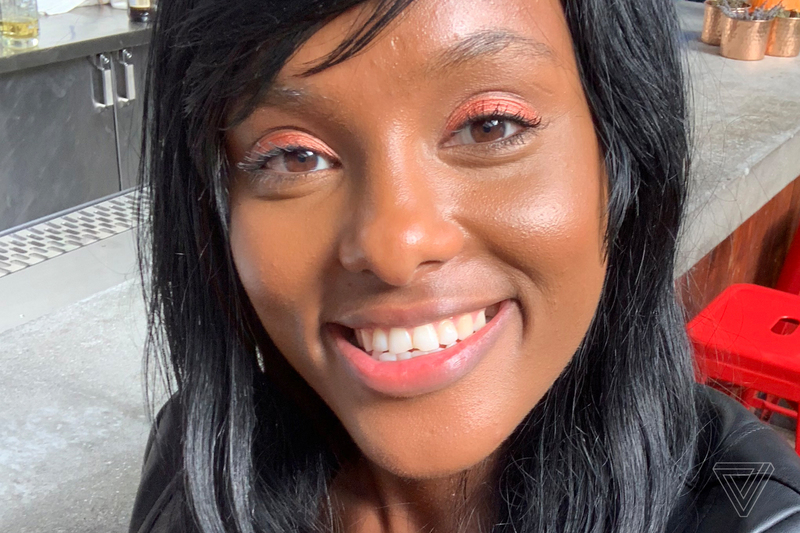 I think most people would prefer the iPhone photo above, but it also doesn’t actually look like reality: the iPhone found Mariya’s face, exposed it correctly with the right skin tone, and then flattened all the highlights and lifted all the shadows to make the scene look bright and even. Again, it kind of looks like we brought studio lights to the bar and properly lit the photo. 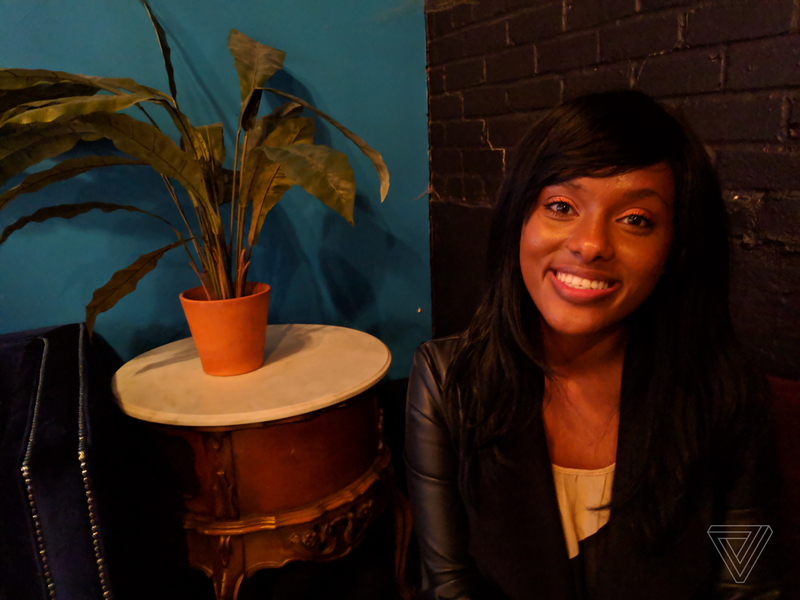 The Pixel 3, on the other hand, does a much better job of capturing the strange red light and shadows in the room, even if the photo is a lot darker and arguably worse. Do you want a nicer photo or a more accurate representation of reality? Only you can look into your heart and decide. Both photos taken from the same vantage point. 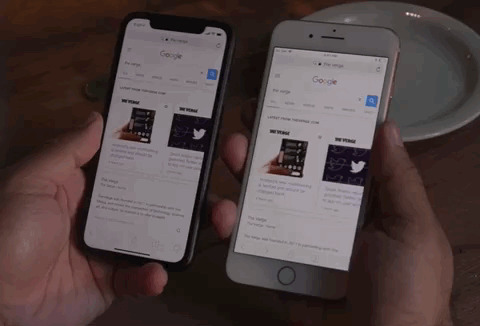 Pixel 3 (left, iPhone XR (right). 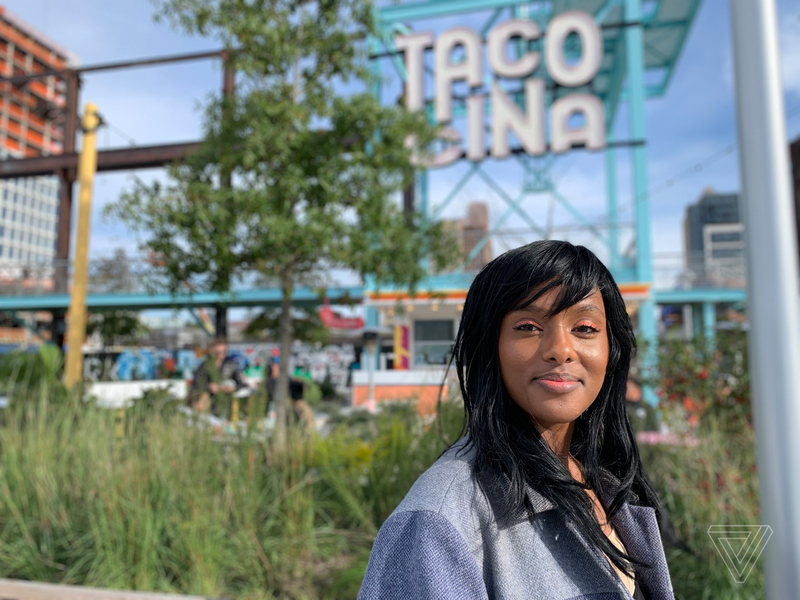 The XR’s portrait mode also has Apple’s nice fall-off blur, which looks far more like real bokeh than the sort of bad cut-out blur you see from the Pixel 3. I don’t ever really use portrait mode on any of these cameras, and I don’t think any of it looks terrific or perfectly convincing, but the XR’s portrait mode is by far the most flexible and useful of the bunch. 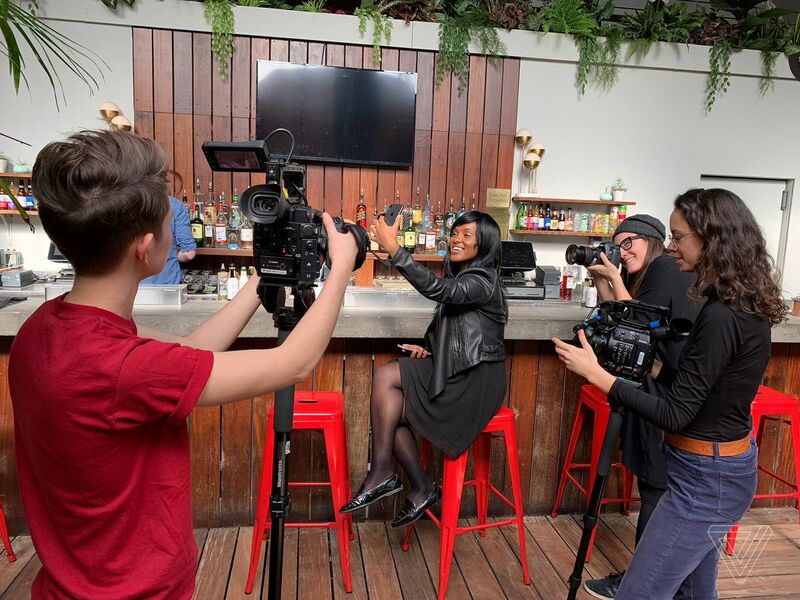 The iPhone XR shares the same industry-leading video features as the XS: it can shoot in 4K60, and it records stereo audio. When you record in 24 or 30fps, it captures interframes for greater dynamic range. If you’re the sort of person who wants to take a lot of video with a smartphone, an iPhone is the way to go. 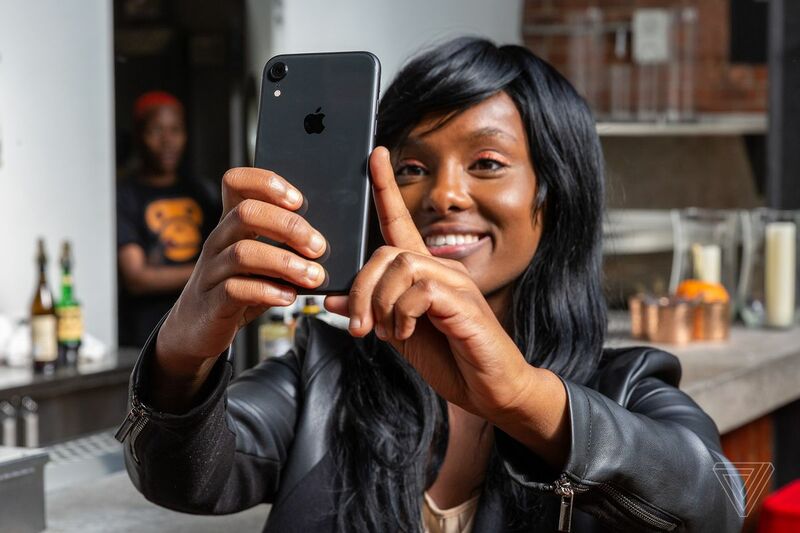 Overall, I think most people who are in the market for an iPhone XR will be happy with its camera — it’s a significant update from previous iPhone cameras, and, like the XS, it makes the iPhone X look downright bad. 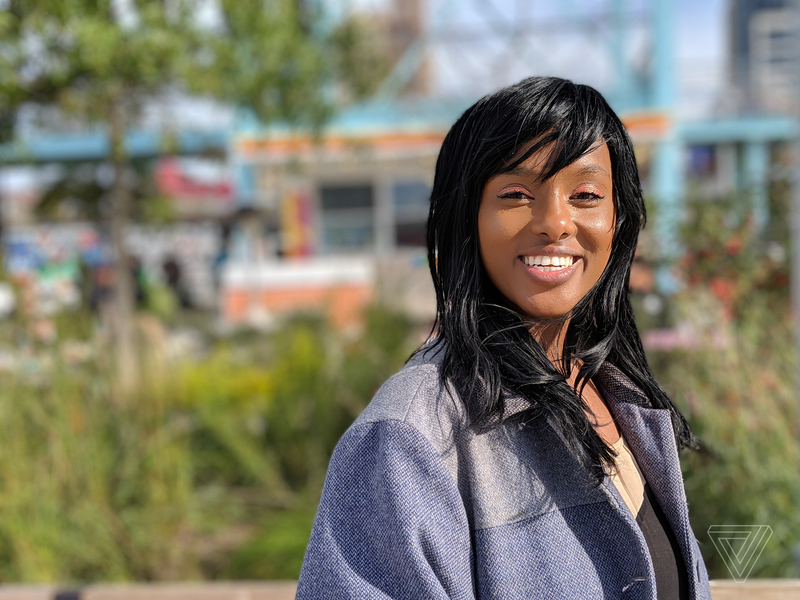 But the Pixel 3 still produces winners more consistently, and I prefer the more contrasty, natural look of its photos. 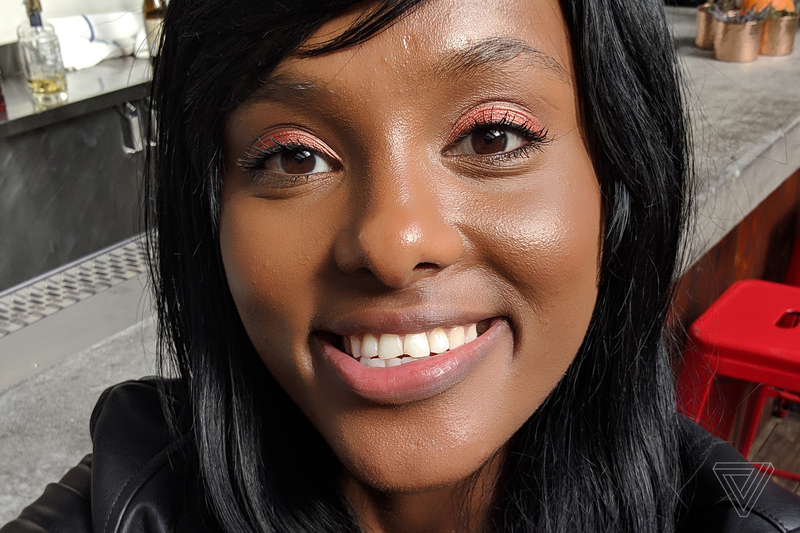 And I’d much rather have the Pixel 3’s wide-angle selfie lens than the telephoto lens on the XS. We’ll have to see if Apple’s aggressively flattened photos take over Instagram and push everyone else to change their looks. The XR also has a larger battery than the X and XS, and it ran for about 13 hours in my everyday use of browsing, email, Slack, and various apps, with about 6 hours of screen on time, which is about the same as the XS Max and slightly more than the 8 Plus from last year. The only major performance difference between the XR and XS is LTE: the XS supports Gigabit LTE speeds, and the XR does not. Gigabit LTE can provide faster network speeds if your carrier supports it, but even if it doesn’t, phones with gigabit are traditionally better at holding onto a connection in weak signal areas. I’m not equipped to test this head-to-head, but if network performance is a concern to you at all, it might be worth spending more for the XS. I also couldn’t test dual-SIM support, since it’s not available yet, but Apple did show me an XR that was running on both Verizon and AT&T’s networks. We’ll have to test this out much more thoroughly when that feature ultimately ships. If one thing is clear about the iPhone XR, it’s that Apple is going to sell tons of these. 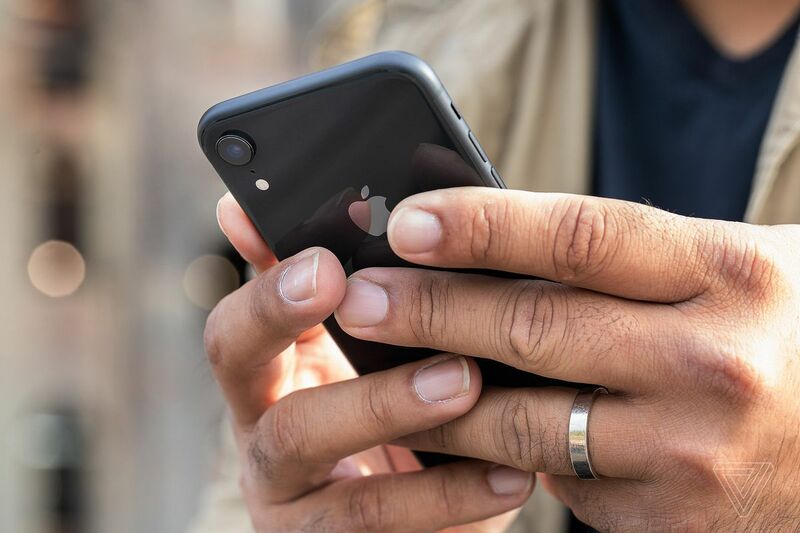 They’re huge upgrades from the iPhone 6 era of Apple phones, with the latest processors and cameras, a big screen in an updated design, and a competitive opening price of $750 for the 64GB model. That’s $50 less than the smaller Pixel 3. It’s priced to move. 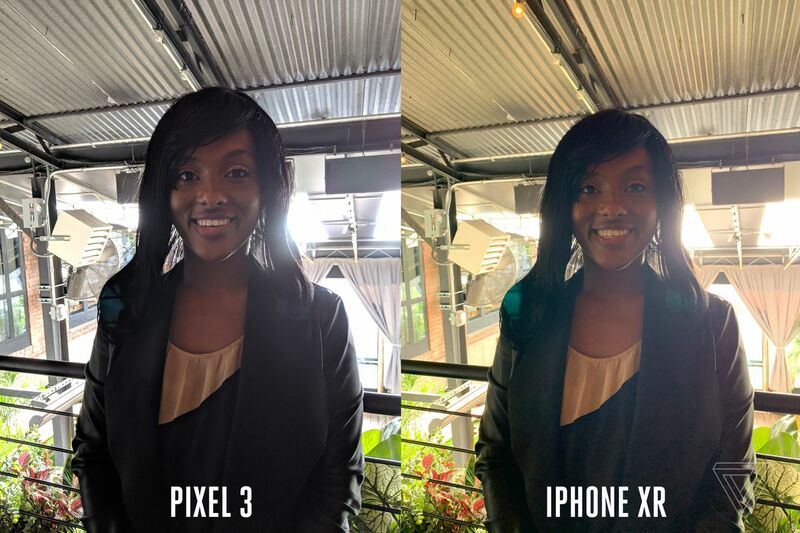 If you do care about screens, you can spend $50 more on a Google Pixel 3 and get a better camera and better, smaller display. You can often find the Samsung Galaxy S9 with a high-res OLED screen for less than $700, if you’re willing to compromise slightly on camera quality. And, of course, you can upgrade to the iPhone XS for an extra $250, and get host of other smaller improvements in addition to one of the industry’s best displays.